Author: Levenson, Thomas Set In . . . 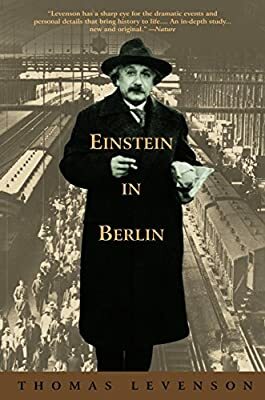 Description: In a book that is both biography and the most exciting form of history, here are eighteen years in the life of a man, Albert Einstein, and a city, Berlin, that were in many ways the defining years of the twentieth century. In between, Einstein’s Berlin years capture in microcosm the odyssey of the twentieth century. It is a century that opens with extravagant hopes--and climaxes in unparalleled calamity. These are tumultuous times, seen through the life of one man who is at once witness to and architect of his day--and ours. He is present at the events that will shape the journey from the commencement of the Great War to the rumblings of the next one. And throughout these years Berlin is an equal character, with its astonishing eruption of revolutionary pathways in art and architecture, in music, theater, and literature. Its wild street life and sexual excesses are notorious. But with the debacle of the depression and Hitler’s growing power, Berlin will be transformed, until by the end of 1932 it is no longer a safe home for Einstein. Once a hero, now vilified not only as the perpetrator of “Jewish physics” but as the preeminent symbol of all that the Nazis loathe, he knows it is time to leave.